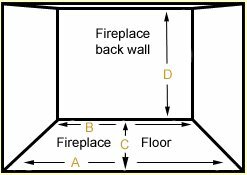 To make things simple, bring the measurements to us and we will assist you in finding the perfect size log set for your fireplace. The Rasmussen Lone Star Vented Gas Log Set will transform your fireplace into a traditional looking wood burning fire for you to enjoy. 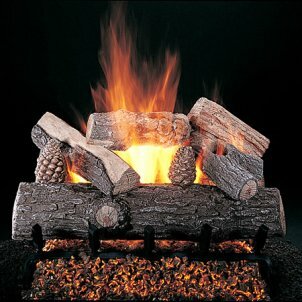 This log set features a one-piece front log with a variety of smaller pieces for stacking. This log set is developed from real pieces of wood to create the log patterns and details. Each log is made from ceramic bonded refractory concrete with a high-heat resistant, high alumina refectory cement with a max temperature rating of over 2300°. Each log is hand colored with a ceramic coloration which will not create odor when burned.